There are many alternatives to Harp that will allow you and your lender to maintain a good relationship and prevent the need for foreclosure. One alternatives To HARP is a regular mortgage refinance. If your mortgage has an adjustable rate that is about to reset to a much higher level, or if your interest rate is simply too high, you could refinance to bring your monthly payments down to an amount that you will be able to meet. The possibilities for a full refinance are greater if you have equity in your home and a clean record of no missed mortgage payments; you could obtain a new loan with brand new terms in addition to lower payment amounts. Another option to combat foreclosure is to apply for a forbearance. In some cases, homeowners may experience a temporary difficulty meeting their house payments. A forbearance from the lender would allow them to have these payments suspended or reduced for a six-month period. A reinstatement or repayment plan is often included along with the forbearance so that borrowers can bring their mortgages to current once they are in better financial shape. Unemployment forbearance is a special t ype of forbearance plan geared toward borrowers with Fannie Mae and Freddie Mac loans who are facing hardships due to joblessness. This type of forbearance is granted for up to six months and can be further extended for another six months if unemployment hardships continue. 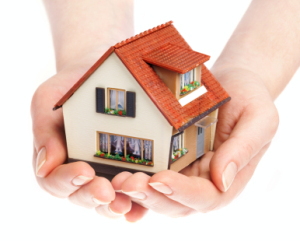 Reinstatement is a third option for ensuring that you stay in your home. With this option, you can bring your mortgage up to date by making a lump sum payment to cover all of your missed payments and extra late fees and charges. This makes sense especially if you are just recovering from a temporary financial setback. A reinstatement can be used in tandem with a forbearance in cases where you can demonstrate proof of a bonus, tax refund or new source of employment that will allow you to meet the past-due payments and afford subsequent mortgage payments. Perhaps you’re already behind on the mortgage because of hardship but have since become financially stable once again. In that case, a repayment plan could be the best method for you to catch up on your mortgage. This plan is similar to reinstatement. The key difference is that, instead of paying a one-time lump sum, you can make up the payments you’ve missed over an interval of time, paying a combination of your normal monthly payment with a portion of the amount past due. The other feasible option for avoiding foreclosure is loan modification. If you find yourself falling behind on your payments, a traditional modification of the original terms of the loan can provide you with greater stability and affordable monthly payments. Typically, you and the lender will agree to a new length of loan and a more manageable interest rate, provided you can still afford to make payments on the modified loan. The federal Making Home Affordable Program also includes the Home Affordable Modification Program (HAMP). This program is effective through the end of 2013 and is intended to assist borrowers whose loans are owned by Fannie Mae or Freddie Mac or another participating lender. To qualify for HAMP, applicants must occupy their homes as primary residences and have taken out their mortgages no later than January 1, 2009. Their mortgage payments must also constitute more than 31% of their pre-tax incomes, and they must be considered ineligible for refinance under HARP. While foreclosure is a grueling experience, don’t think of it as inevitable. Discuss all options with your lender before your hardship becomes worse. These foreclosure prevention options do come with a price — they will likely cause a hit to your credit score — but they are a lesser price to pay than the one that comes from the insecurity of losing your home. Be optimistic, protect your family and explore all the venues you can to keep your American Dream alive.